When you copy a job, you now have the option to link the new job back to the original job. This is particularly handy if it's a return job where you have to go back to the site on another day or make multiple visits. 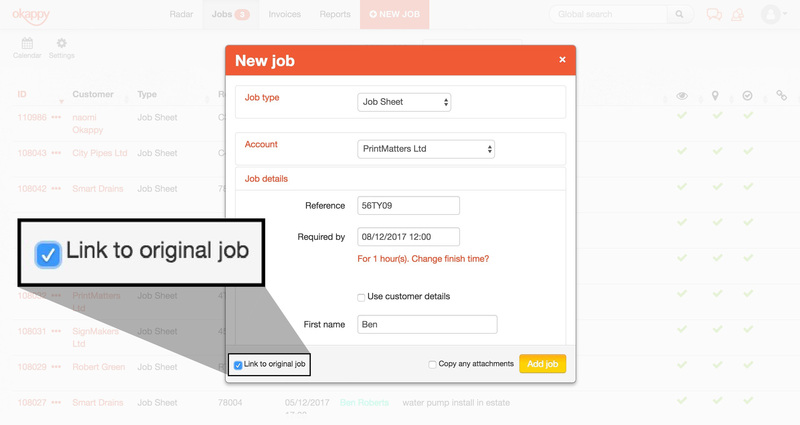 By linking the jobs together, not only does it makes it easier to search for the related jobs from the job dashboard it also means you can send one job sheet or invoice to your customer rather than multiple. 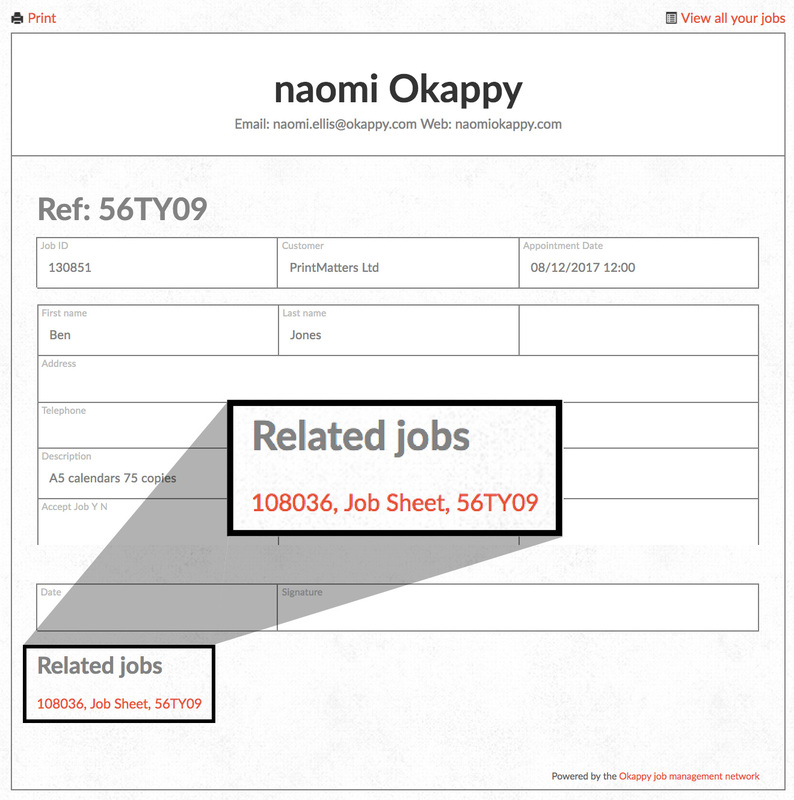 When you send a job sheet to your customer which is linked to another job, the job sheet includes links to the related job sheet(s). The link job feature also comes in handy when you want to link a quote and job sheet together. It also creates an audit trail for the job from the initial quote right through to job completion. 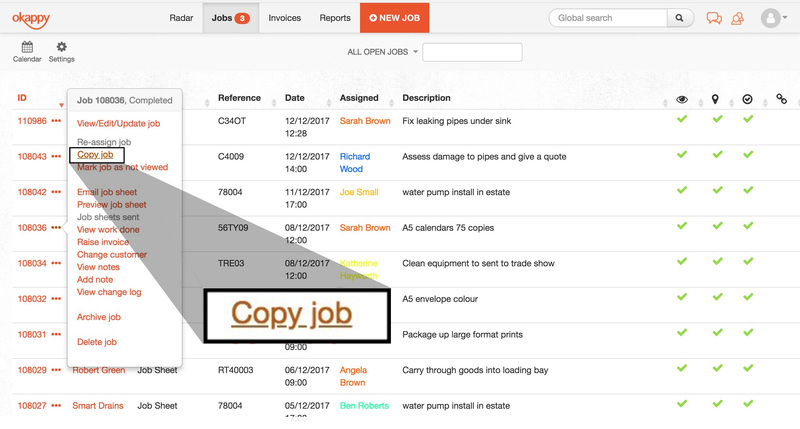 Where customers require one invoice to cover multiple jobs, if you link the jobs together, when your customer clicks on View related job sheet on the invoice, the job sheet will show links of all the related job sheets. You can easily see linked jobs from the job dashboard as they will have a green tick in the linked column ( ). Clicking on the green tick quickly filters the jobs list to show just the linked jobs. Clicking again takes you back to your original view. How do you go about linking jobs. To link a job, first click on the 3 dots menu next to the job that you want to copy, then click Copy job. The new job modal will appear pre-populated with the details from the previous job. You can add or edit any details as required. Once you are happy with the job, click on 'Link to original job' checkbox at the bottom left of the modal, then click Add job. On the job dashboard, you can see that the newly added job and the original job have both got a green tick under the linked jobs column. If you click on the green tick ( ), it will quickly filter on all the related linked jobs. Click the green tick again to undo and view all jobs. You can also view the linked jobs details from within the job. Simply click into the job and scroll to the bottom. Under Related jobs , click on Linked jobs. When you email any of the linked job sheets to your customer, the rest of the related job sheet links are shown at the bottom of the job sheet.